Snoods are the new sporks. No, not the (awesome) computer game but a fusion between scarves and hoods! The runways have been riddled with pieces like the one above and to be honest, I’m in love. 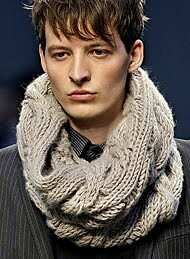 What a great concept, especially for the Canadian winter (CLEARLY Missoni, Burberry etc… had our lovely northern country in mind…ha!). Slouchy, comfy, boho-chic. I could see this becoming a popular trend this season. If not, I guess I’ll be the only one trying it out. At least I’ll be super warm. 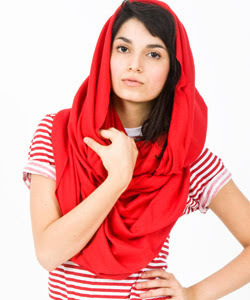 For a more affordable version of the snood, check out American Apparel’s version. Super cute and only $34! What do you think? Poll after the jump!